Built In Oversized Storage. · Provides a quick conversion from 2-Shaft to DIN Radio. Pocket With Built In Radio Supports. Contoured And Textured To Match Factory Dash. Professional Installer Series. Rampage 1978-82. Jeep Grand Cherokee 1993-1995. Grand Cherokee 1993-98. Reliant 1981-89. Neon 1994-99. Horizon 1978-90. Gran Fury 1975-85. Fury 1975-78. Avenger 1995-00. Sebring (conv.). Rampage 1978-82. Jeep Grand Cherokee 1993-1995. Grand Cherokee 1993-98. Scamp 1983-84. Reliant 1981-89. Neon 1994-99. Best Kits Bkcdk644 In-dash Installation Kit [chrysler[r]/dodge[r]/jeep[r] 2007-2013 Single-din With Pocket]. Manufacturer Part Number BKCDK644. Product Title Best Kits Vehicle Mount (BKCDK644). Product Type Vehicle Mount. Chrysler Sebring Dodge Avenger 1995-2000. Avenger 1995-00. Sebring (conv.). Jeep Grand Cherokee 1993-1995. Grand Cherokee 1993-98. Horizon 1978-90. Gran Fury 1975-85. Fury 1975-78. Aerpro FP956511. Double Din facia kit for Jeep & Dodge. Dodge Avenger 2007-2009. Dodge Nitro 2007-2011. Chrysler Grand Voyager 2008-2011. Jeep Cherokee 2008-2011 KK. Jeep Grand Cherokee 2009-2011 WH. Jeep Wrangler 2007- 2015. Fuse Holders. - Dash Kits. Designed and manufactured with precision tolerances, resulting in a gapless fit between the dash and the kit. Painted to match factory dash color. - Installation Adapters. Installs Iso/Din Radio With Dash Pocket. 2007 Wrangler Unlimited. Fuse Holders. - Dash Kits. 2007 Dodge Nitro. 2007 Dodge Avenger. 2007 Jeep Wrangler. - Motorcycle Speakers. 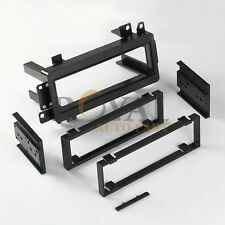 Best Kits plastic dash trim kits are designed by industry experts for the best factory fit and finish. Compatible with 2007 Chrysler Sebring, Dodge Nitro, Jeep Wrangler. Details about Enrock Audio Car / Marine 50 Foot Installation Speaker Wire. Install dash kit for Single DIN/ISO Radios. High-grade ABS plastic construction. Single DIN Installation Kit for 1974-2004. Install dash kit for Single DIN/ISO Radios. Designed and manufactured with precision tolerances, resulting in a gapless fit between the dash and the kit. Painted to match factory dash color. Installs most ISO DIN and/or DIN stereos. Auto Stereo Installation System. Step by Step Instructions. Easy to Install - No special Tools Required. Factory Style Textures. Actual Images of item are shown above. Double DIN Installation Kit for select 2007-up Chrysler/Dodge/Jeep Vehicles. 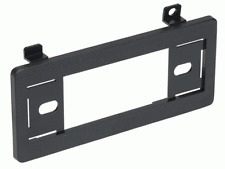 Double DIN Brackets/Trim Plates. Amplifier Install Kit. High-grade ABS plastic construction. Install dash kit for Double DIN/ISO Radios.